If you’re a CPG company or in the petcare industry, you’ve probably been hearing more and more about SmartLabel. As we speak to our customers, it’s clear that CPG companies know this is something important that they need to prepare for, but don’t necessarily know where to go for the best information or easiest solution. But don’t fret. We’ve done a lot of the leg work and are here to help. SmartLabel is an initiative that was created by the Grocery Manufacturer’s Association (GMA) to provide more nutritional transparency to the consumer. The simple fact is consumers are demanding more information today about the foods that they eat and products they use than ever before. CPG companies are attempting to address this by giving consumers easy access to information like nutritional content, allergens and GMO ingredients. You're suffering from Ménière's disease and need to limit salt intake per your doctor's instructions. Some products are marketed as "low salt" but most that are, in fact, low in salt are not marketed as such. You're at the store and want to have an easy way to understand which products are actually low salt. SmartLabel helps you with that. SmartLabel will start to become available to consumers in late 2016, with a more full launch in 2017. There will be both required and voluntary attributes. For the first generation (Gen 1.0), all required attributes, are defined by US regulations and required to be available to consumers by U.S. law. Just an opinion, but like other product content, it will probably only benefit you to get as much information out there as possible, i.e., the voluntary attributes as well. 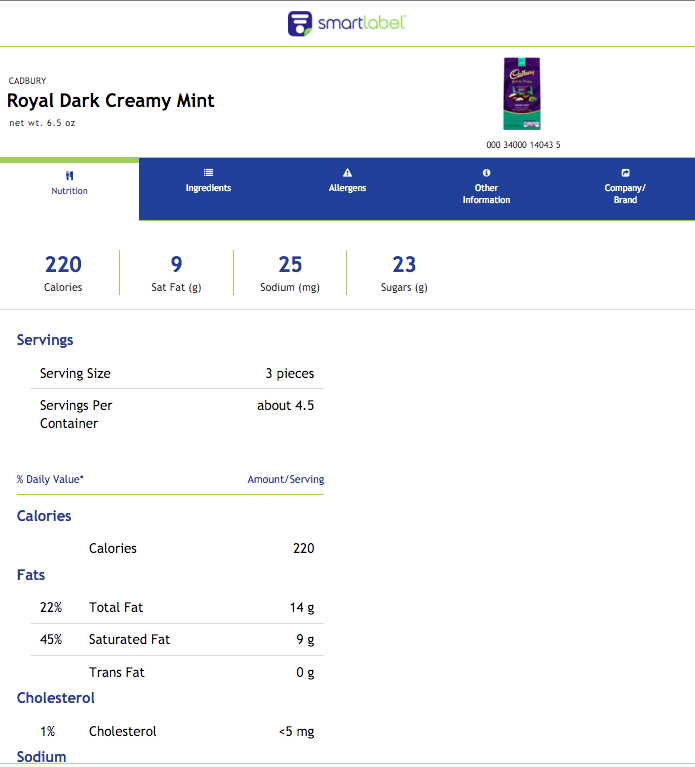 Each product participating in SmartLabel will have a specifically formatted landing page, which can be accessed through a web search, QR code, via an app in the future, and through participating retailers’ customer service desks. Salsify has a Readiness Report, so you can map your attributes against the required and voluntary SmartLabel attributes for food, non-food and petcare to help you determine if you’re SmartLabel ready. We can also help you figure out the best way to get your products set-up for SmartLabel. Interested in learning more? Reach out to SmartLabel@salsify.com. We’re happy to help.